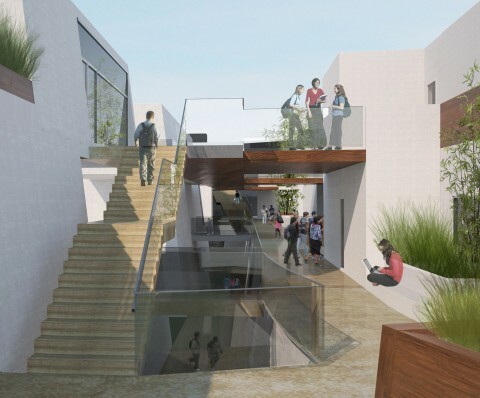 This 72,000 square foot middle school for sixth through eighth grades, creates a new front for an existing campus located in a sunken valley. 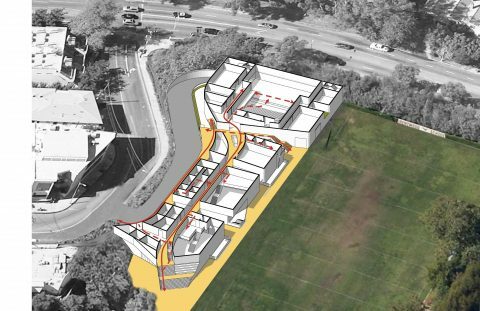 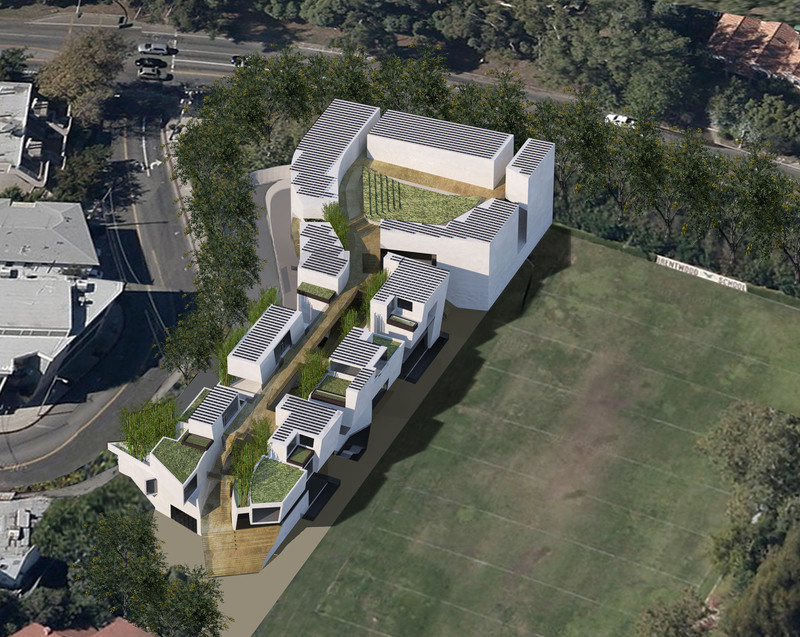 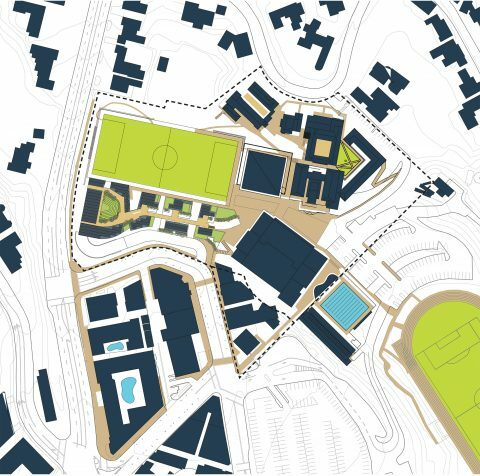 The project creates a new edge between an urban village and one of the schools main soccer fields. The new middle school will offer traditional classrooms as well as integrated arts programs for the campus. 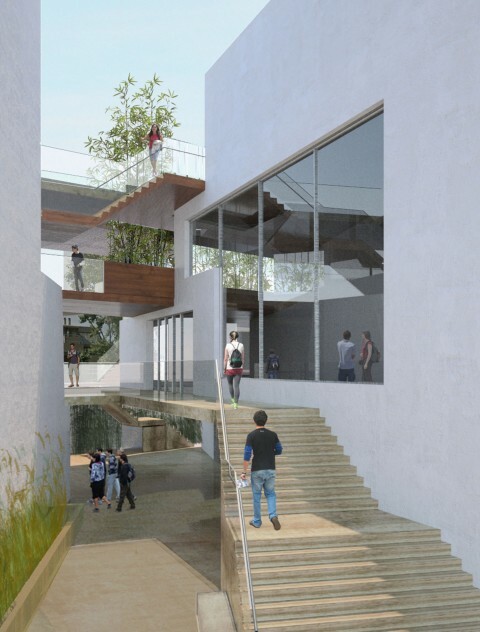 Our project creates a new pedestrian street for the school that links a series of courtyard spaces for impromptu gathering of middle school students. A new theater anchors the north end of the project while the library provides and important connection back to the existing campus.